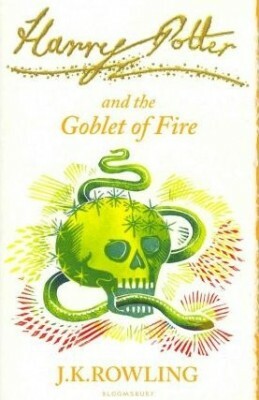 Harry Potter and the Goblet of Fire is the fourth book in the award-winning Harry Potter series by J. K. Rowling. In this book, Harry is under serious threat as his greatest enemy, Lord Voldemort, is getting stronger. Summary of the Book Summer holidays have been a drag and Harry cannot wait for the school year to start. He looks forward to spending time with his best friends, Ron and Hermione. The students of Hogwarts School of Witchcraft and Wizardry have new spells to learn and have to attend Potion and Divinations lessons. It is also time for the much-awaited Quidditch World Cup. However, the game is interrupted and disrupted by Voldemort’s supporters and the Dark Mark is resurrected. Harry realizes that his enemy, Voldemort, is getting stronger by the minute. Harry has been entered in the Triwizard Tournament and there is much excitement and encouragement to win the trials. However, Harry is only focused on getting through the trials alive. About J. K. Rowling J. K. Rowling is the author of the Harry Potter series which became popular worldwide. The books were also made into movies. She is a British novelist who has gone through the rags to riches kind of story. Her real name is Joanne Rowling.